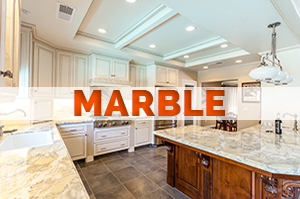 Affordable Granite and Quartz Countertops in Bowie, Maryland. Bowie, Maryland is a cozy town that’s situated in Prince George’s County. It is the home to over 56,759 people (as of 2013). When this city was first established, it was a small railroad stop. Today, it is a boasting populous city. In fact, it’s the biggest municipality in all of the county. It also has the fifth largest population and is the third biggest in the state of Maryland. Bowie, was even voted as being one of the top Best Places to Live in America by CNN Money back in 2015 – 28th to be exact. The city of Bowie was born in 1853 and was named after a Colonel named William Duckett Bowie. He was the one that obtained a charter to build a railroad in the area, which became the Baltimore & Potomac Railroad Company. The construction of the rail line began in 1869, where it started from Baltimore and ended in Pope’s Creek in Southern Maryland. The town was also well-known for its small farms and big plantations filled with tobacco. This helped to boost the local economy. But what put the town on the map was the railway. It wasn’t until 1870 when a land speculator and developer named Ben Plumb came along and started sellingbuilding lots around the railroad junction. This settlement became Huntington City. By 1873, the rail line was completed. Eventually the town was renamed to honor the son of William Duckett Bowie, Oden Bowie. He was the president of the railroad station during that time and was once the governor of Maryland. In modern times Bowie, you can find plenty of fun things to do. This town has beautiful and friendly communities, as well as various restaurants, shops and amusements to check out. One in particular is the Vino 01 Wine Concierge, which offers tours and wine tasting. There’s also Six Flags America, which has fun roller coasters and other rides to try. It also hosts a Scare Fest in October. Other venues to consider visiting include Allen Pond Park, Prince George’s Stadium and the Bowie Train Station Museum. There comes a time when older homes must be remodeled for convenience, functionality and style. It’s not uncommon for homeowners to choose to give certain areas of a home a complete makeover, while leaving other parts original. There’s something about older model homes that people want to hold onto. This was the case with one of our clients in Bowie, who owned a beautiful 1950s home. When she contacted our professionals, she explained her issue – the kitchen was all wood, and was outdated in functionality. So she was looking to add flare and a modern touch that would make cooking easier. However, she still wanted to maintain the true character of the home. The challenge here was the materials and the weird layout of the kitchen. The cabinets were made with knotty pine, the countertops were laminate and the floors were a faux brick vinyl floor. The goal was to remodel the kitchen, giving it a space that was functional and fit for entertaining guests. The owner of this home called KNC Granite because she was tired of the old-school design of the kitchen. She had acquired the home for a rock bottom price in a foreclosure auction, so she didn’t complain much at the time. However, as time went on, she could really see the flaws behind the design. The floors were starting to warp a little from using a steam mop and the counters and cabinetry just weren’t pleasant on the eyes. Two years into homeownership, the client decided it was time to make some changes. After contacting us, we evaluated the kitchen and gave our insights into what type of changes could be made. The client had a good idea of what she wanted, and we were definitely able to accommodate it. At the end of the remodel, the customer and her fiancee were very delighted. The new countertops and cabinets were included in the package they chose, along with the new tile. The client told us that the feel of the kitchen is more spacious and is easier to maneuver in. We included a kitchen island with a sink, which made prepping and cleaning up a breeze. That’s because we implemented the kitchen work triangle concept into the design. We first started with gutting out all of the cabinets, some of which shown signs of rotting. The wood was authentic, and since it hadn’t been stained and sealed in a while, it was starting to show it’s true age. In replacement, we placed gorgeous cherry wood cabinets throughout and included a few extra for additional storage. The floors were also ripped up and replaced with white tiles, which matched the backsplash that wapped around the entire kitchen. The laminate countertops were last to be replaced, which was done with beautiful engineered quartz stone. The client decided to go with this because it’s known to be highly durable, easy to maintain and great at resisting heat and stains. This was a big problem with the laminate countertops the client had to put up with the past two years. The entire project took two weeks to complete due to poor weather conditions in the area. The color of the quartz was a beautiful dark gray, which made a nice contrast with the cabinets and floors. The appliances were updated with white units, which matched the tile and backsplash. We installed the appliances for the couple. The kitchen island was also installed for the first time, replacing where the kitchen table originally sat. It was large enough to seat five stools, which was perfect for entertaining guests. The couple had no children, and weren’t planning on having any. At KNC Granite, we offer an array of colors for our quartz countertops, which is available from brands like Caesarstone, Zodiaq, Silestone and Cambria. If you’re planning a new kitchen remodel, then trust none other than the experts at KNC Granite!